Cancer Research UK is getting on the VR train with the creation of a virtual flower garden at the RHS Hampton Court Palace Flower Show next week in London. The "Life garden" will involve a physical installation, where visitors will enter an apparently endless field of flowers when they put on an Oculus Rift headset. 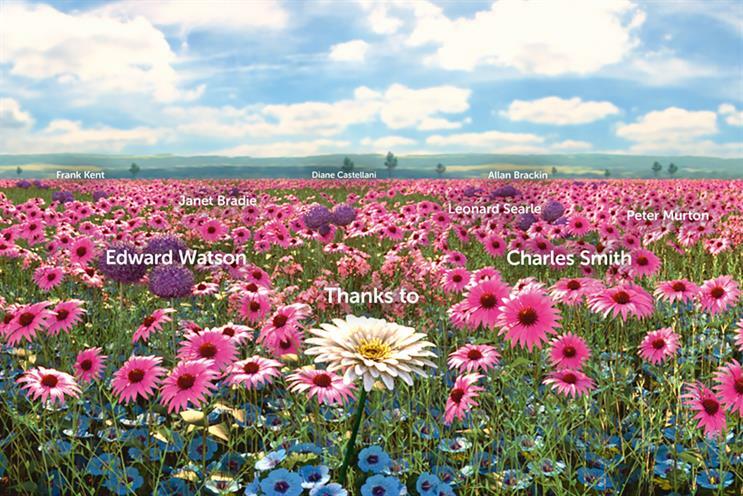 The experience will feature more than 100,000 flowers featuring the names of supporters who left a gift to the charity in their will – a method of giving that funds a third of CRUK’s research. As well as the visual component, the experience allows for sound to be positioned in 3D space. Following the launch, the virtual garden will go on a tour of the UK, appearing at a series of "tribute events", which will give family and friends of the legacy benefactors the chance to visit the garden. The experience has been created by Atomic London and produced by Rushes, using software platform Unity. The copywriter is Sam Laub and the art director is Tim Kitell. Guy Bradbury, founding partner and executive creative director at Atomic London, said: "Virtual reality is too often used as a gimmick – to make people feel like they’re on a roller-coaster or walking through a fantasy world. "With the Life Garden we’ve created something that emotionally engages and moves people by starting with the idea and using the technology as the most suitable channel, rather than starting with the technology and trying to work backwards." Caroline Kent, director of legacies at Cancer Research UK, called the garden "an incredibly moving experience that we hope will demonstrate our huge appreciation to all those who have supported us in the past with a legacy gift."